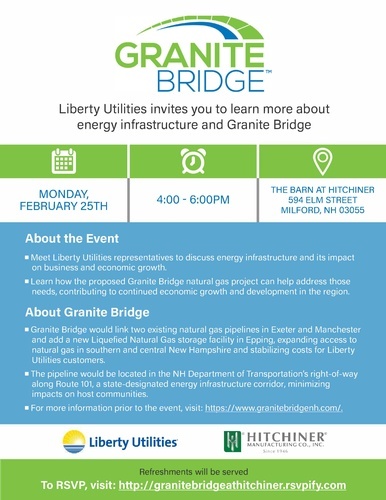 Join Liberty Utilities and Hitchiner Manufacturing for this informative event! Meet representatives from Chamber members Liberty Utilities to discuss Energy Infrastructure an its impact on business and economic growth. Learn how the proposed Granite Bridge natural gas project can help address those needs, contributing to continued economic growth and developement in the region.